Need help setting up the emulator. So I need help setting up dolphin to fit my hardware. 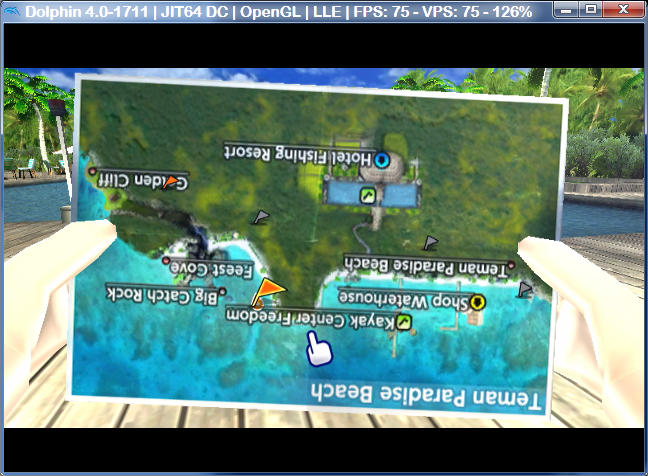 Not sure about using OpenGL or Direct3D11. Since I'm a loser for open source I personally prefer opengl. Thinking of playing games like Metroid prime, Tales Of Symphonia, Resident Evil 4 and Metal Gear Solid: Twin Snakes, Eternal Darkness, Zelda: Wind Waker and Beyond Good & Evil. Do any of these game's requires special setups? Or do all these game's works without "fixes?". Would like to know what kind of graphical settings I could use for these games. DX11 is way faster than ogl, so you'd better use it. For M.P., possibilities are flat because of i3 low power. You'll be more lucky with the Zeldas. I guess Wii game's are completely out of question? Tried "The Last Story" but I can't get it to work without lag or audio stutter. Read somewhere Xenoblade isn't as demanding, any truth in that? (09-25-2013, 02:45 AM)Kureno Wrote: Read somewhere Xenoblade isn't as demanding, any truth in that? Your setup will probably run Xenoblade with occasional slowdowns. TLS is too demanding for any known system. It will run at 100% in some places with a high-end overclock, but you'll hit significant slowdowns especially during combat. From what I've heard, DX11 is actually usually the *slowest* backend. Experiment with it, though, 'cause it's very much dependent on what GPU you have and what game you're playing. Yeah saying "openGL is slower than d3d11" or "d3d11 is slower than openGL" are both flat out incorrect statements.